Pittsburgh, PA , July 25, 2017 - Containership, the company making multicloud computing easy, has announced support for Kubernetes on their Container-as-a-Service platform. This will allow developers and IT operators using Kubernetes to easily build cloud-agnostic, portable, containerized infrastructure with developer self-service across any cloud provider or data center. Containership’s support for Kubernetes enables developers to instantly deploy their clusters using Containership’s powerful cloud-native features. At the same time, IT operators can manage all of their company’s cloud providers and data centers through one interface to fully embrace a true multicloud approach to containers. Visit Containership.io to get started for free. 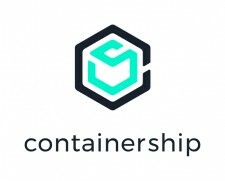 About Containership: Launched at TechCrunch Disrupt in 2015 and founded by developers and IT operators that required more from the existing landscape of platforms to manage containers at scale across any cloud or server, Containership has grown to become an emerging leader in multicloud docker deployments. Backed by Draper Triangle Ventures, Birchmere Investments, and Riverfront Ventures, Containership is Multicloud Made Easy. Visit www.containership.io for more info. Kubernetes Support, New Pricing, Expanded Free Tier, UI Overhaul, Limited Time Offers!